CBS News and The New York Times ought to be embarrassed by the bogus poll numbers they are putting out in the Maryland gubernatorial race, and the Democratic Party ought to wonder if it is facilitating voter suppression by promoting the inaccurate figures. The figures from the Internet-based poll released Friday showed Democrat Anthony Brown at 55% and Larry Hogan at 38%, a 17-point spread that far exceeds Sunday’s Baltimore Sun poll showing Brown ahead by 7 percentage points, last Monday’s Washington Post poll with Brown leading by 9 points, and earlier Republican polls showing the race even closer. The Sun and the Post did their polling after the CBS-Times poll, using standard telephone techniques. In weighting the numbers from the people that responded to their poll online, the CBS-Times poll estimated that only 21% of voters in this election will be Republican and almost 30% will be African American. In the last three gubernatorial elections about 31% of the voters were Republicans, according to election board figures. That means that there are likely 50% more Republican voters than shown in the CBS-Times poll. While African Americans make up 30% of Maryland’s population, estimates are that they make up 25% or less of the general election voters, even for Barack Obama. The two majority black jurisdictions — Baltimore City and Prince George’s County — have the lowest turnout in the state, 45% in 2010, 9 points below the state average. One of the basics of accurate polling is getting the sample right. 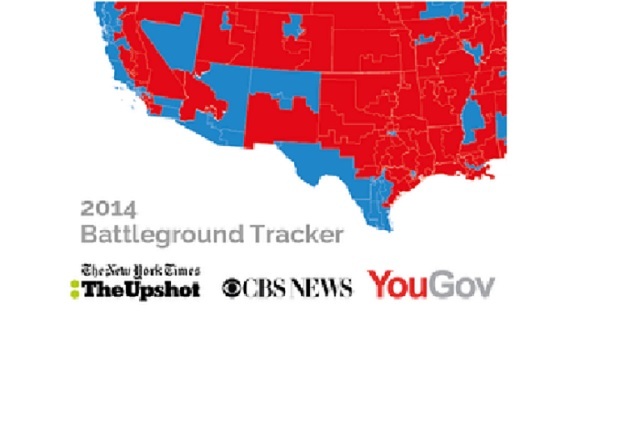 In two successive polls for Maryland, CBS-Times has gotten it wrong. By promoting such a poll in a press release, is the Democratic Party trying to make Hogan voters think all is lost? Or is it undermining its own get-out-the-vote efforts by having Brown supporters think the race is already a blow-out? Regardless, the CBS News-N.Y. Times poll done by YouGov.com — already suspect because it uses the Internet to sample a stable panel of voters — needs to clean up its sampling technique. The names of two prestigious news organizations give this poll a credibility it doesn’t deserve.